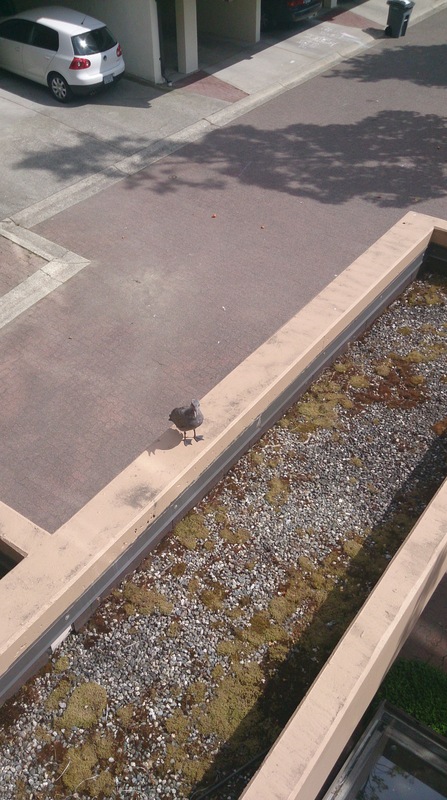 He waddled around on the ground beneath my balcony, his high-pitched baby chirrup filling up the morning. I looked over the railing and spotted a fledgling gull who had fallen from the roof of our building where a seagull family had set up home. He was not hurt, but frightened to find himself in unfamiliar territory. The adults protected him from the skies, swooping at anyone who got too close; they would perch on a low roof, calling to their child, encouraging him to fly so he could return to his nest. For several days this baby gull was the celebrity of our complex. Neighbors watched out for him, leaving out a dishes of water for him to drink and bathe; families were intrigued by our infant guest, carefully introducing their children to Mother Nature, but keeping them at a safe distance so as not to summon the ire of the gull’s wary parents. For several days the baby lingered in the sheltered space of our complex, calling to his family. Each night he would take shelter in shrubbery, avoiding the neighborhood cats and the wayward coyotes that wandered up the railroad tracks at dusk. Every morning I would wake to his baby chirps and the answering call from another sibling on the roof looking down at him. We watched as he stretched his wings a little bit at a time. 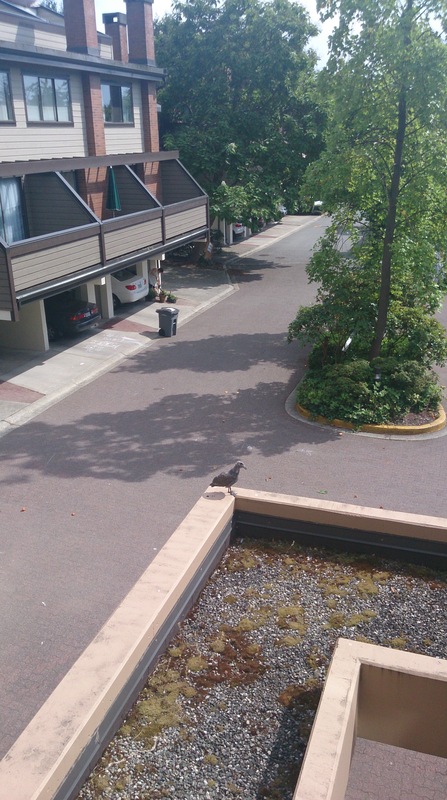 One day he took a short flight off the ground; the next day, he made it to the ledge just under our patio; four days later he glided to the car port roofs of the townhouses. One splendid day, I watched him spread his wings and soar into the air, circling away over the rooftops and I knew he had found his way home. In the beginning of my diagnosis, I felt the same way as that baby gull – suddenly, I was thrown from the comfort and familiarity of my nest and shoved into unfamiliar territory. I had to search for a way to untangle the unfamiliar traits of my illness, muddling my way through new medications and flares. I became familiar with the ebb and flow of my disease, preparing myself for the unknown of each new morning; each day brought with it a new trial to overcome. I took the pieces of my old nest and used them for inspiration. I started testing my limits, sometimes making progress, sometimes falling back to where I started. I learned to recognise how far I could push the boundaries of my infirmity. I learned some tricks to relieve my symptoms and worked hard to achieve my goals. It took time to adjust to my new rhythm but I exercised my valour, just like that baby gull. I learned a new way to fly, enough to return to my nest with a few new renovations tucked under my wing. Love this! The nature of things, you take what you can and deal with the rest. Adapt and survive. Glad the little gull was able to take flight, as were you. Thanks Irma. We all have to find our own way to survive; and I think we’re doing pretty well 🙂 .